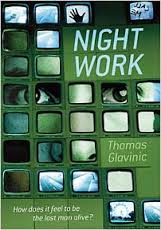 Like Clemens J Setz, Thomas Glavinic is a young Austrian writer who is not afraid to use the trappings of genre fiction. Both Indigo and Glavinic’s Night Work have the feel of a high concept US television series. In Night Work, translated by John Brownjohn, both the story-telling and the concept are more straight-forward: (as posed on the cover) How does it feel to be the last man alive? Jonas also becomes increasingly attached to his past, decanting much of his parents’ house to his apartment, visiting a family holiday spot, and frequently reminiscing over photographs, places or objects. Given his loneliness this seems quite natural, and also allows the author to give us more insight into his character. As Jonas’ life becomes increasingly internal it raises the question of whether the entire narrative is simply within his head. In the final pages Glavinic uses the fact this is a written text to slow time (“Time was juxtaposition, not a succession”) which would, of course, allow for the novel itself to occur in a much more fleeting moment than Jonas’ careful notation of dates would imply. Similarly, with only one character, we are entirely reliant on a single consciousness for the presentation of the novel’s world. Glavinic’s central aim, however, seems to be to explore Jonas’ loneliness, and to reaffirm our need for others. You are currently browsing the archives for the Thomas Glavinic category.